Without my placement year I would not have experienced the opportunities I have had and I certainly wouldn’t be half as confident as I am in my skill set and future aspirations. For the last nine months I have been completing a sandwich placement in the Office of the Vice-Chancellor at the University of Hertfordshire working as a policy assistant. As a humanities student at the University of Hertfordshire doing a placement year was almost unheard of compared to the other ‘schools’, but I am extremely happy that I took the opportunity and applied for the role. I have gained a significant amount of professional experience so far, which I know will give me a good advantage in the jobs market when I graduate, and I owe it all to my university for having faith in their students by hiring them to work in various roles within the institution. My responsibilities are typical of a policy assistant; I conduct research on higher education policies, write briefings for staff and students, help senior management with presentations and events, and I collect and analyse data. 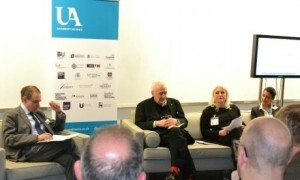 I have also helped with some interesting and unique tasks during my placement, from organising and participating in a round table event chaired by the Rt Hon Vince Cable MP to working with the University Alliance on their Design& project launch. 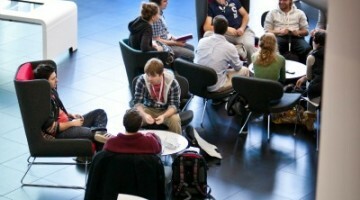 During my time with the University Alliance I got to attend a number of their group meetings where we discussed things like policies involving postgraduate numbers, and I also got to have one-to-ones with the majority of staff. It was particularly interesting to see how the University Alliance operates and how their projects are organised. I concluded my visit by helping out with the setup of their Design& project launch, which had a great turnout with people attending from a variety of different sectors. I felt that the staff did a great job at organising the launch and the speakers were very passionate about creative arts. 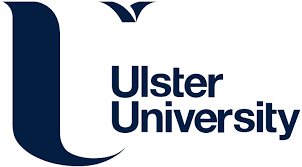 On the whole, I am very grateful to have been given the opportunity to help the University Alliance team and I cannot begin to promote the benefits of doing a placement year enough. It is often said that you become a different person by the time you finish your placement year, and at first I considered this to be another cliché hook to try and entice you into doing a placement… but I was wrong. It is actually true, I know that I have become very different from the timid and inexperienced person I was on my first day, and I can easily recognise that I have grown into a mature and independent person over the last nine months. Without my placement year I would not have experienced the opportunities I have had and I certainly wouldn’t be half as confident as I am in my skill set and future aspirations.